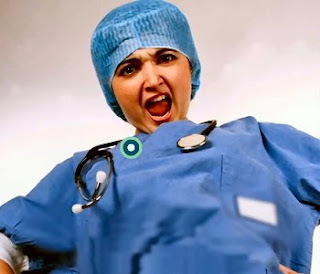 Home » Articles » Is your Doctor Rude and Insensitive ? Is your Doctor Rude and Insensitive ? Today there are laws to protect the doctors and their hospital premises from relatives of those patients, with whom some thing worst have happened during hospital stay. Some friends and relatives often blame medical staff for their rude behavior and inability to treat a patient. Both sides have their own points to prove themselves right. But apart from that some patients themselves complain that their doctor was a bit rude and insensitive towards them. Not just that, some patients even complain that their doctor feels that they are dumb. Where is our medical industry lacking when it comes to behavioral traits. Is a doctor only responsible for treating a disease, or his behavior also counts in the mean time. A study done on 840 American doctors in year 2013 found that more than 65% doctors witnessed their colleague doctors behaving badly with patients and hospital staff. Inappropriate jokes cracked by some doctors can also be considered as a bad behavior by some patients. Such as joking about their physic, lifestyle and disease. Some patients even complain that their doctor don't even listen to them to get their problem correctly and treat them as a dumb, who know nothing about human body and its working. Some patients told researchers they listened to lewd remarks made by specialists when they were under anesthesia. Sometimes even silent gestures and unintended slights do the job, as patients easily understand such things due to the condition they are going through. Such behavior is not just limited to doctors and specialists, even some nurses don't listen to patients properly. I have heard a case where a lady kept complaining about severe pain after a surgery, but nurses kept saying that it happens and she need to help herself instead of relying on others all the time. Later an infection was found the reason behind her pain, which was not normal at all. A 2012 study found that doctors posted information about their patients on social platforms and websites, even with some remarks for their patients. In many cases it resulted in serious disciplinary actions. When it comes to patients suffering from life-threatening diseases like cancer, they need more psychological strength along with finest medical care. If they get rude and insensitive behavior then most probably patient will die thinking worst of himself/herself. Even if a patient can't be saved with finest medical care, the remaining part of his life can be made worth something with good behavior. Rude behavior can be behavioral trait of any person, but medical staff have a added responsibility to treat their patients and people least expect it from them. Sometimes rude behavior can also occur due to work load and lack of support staff. Doctors often describe these issues as a reason behind such behavior. Medical practitioners should understand that Good Medicine is not just medicine but the behavior as well. Sometimes good behavior can do magic when mixed with quality medical treatment. Some doctors are famous for their good behavior and patients often praise them on social platforms as well. Such things should be appreciated so that others can learn from that. Good behavior of a doctor not just earns him a reputation among patients, but also bring more business for a hospital. However here business should not be goal, but still no body have a right to don't let hospitals earn good money through good behavior.